Nicholas Kenyon recommends a recording of Mozart's Requiem for Building a Library on Radio 3. Commissioned in strange circumstances, the Requiem has been argued over by musicians and scholars for the past couple of centuries; it has also inspired fiction, drama and opera. Left unfinished at Mozart's death, his widow Constanze desperately needed to get the Requiem finished to get it paid for. Two attempts to complete it were made in her lifetime and several more, since. 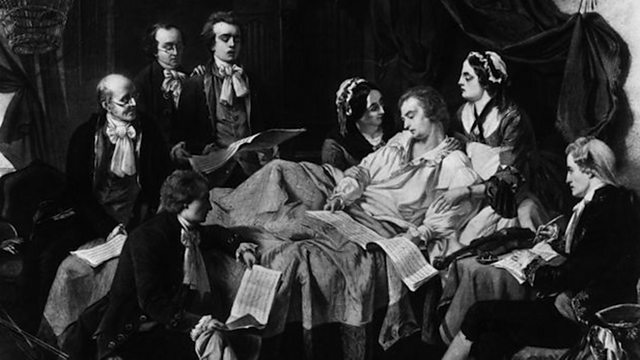 To arrive at his final choice, Nicholas Kenyon asks 'What is The Mozart Requiem?' It's a knotty question which takes some unpicking and has more than one answer. Below is a shortlist of other recordings which Nicholas Kenyon also liked, although we can’t guarantee the availability of these discs.